Pupils of a school in Kolky village, Volyn region, will now be able to take a warm shower after gym classes. 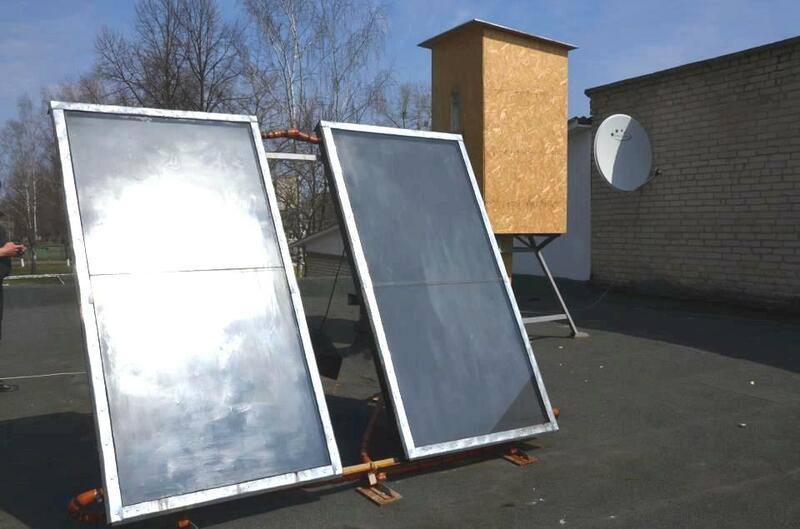 A solar collector on the school’s roof will provide hot water, thanks to EU support. “We want to teach people how to use solar energy and make their houses cold-proof, to save electricity,” says Oksana Mayboroda (from the NGO, “Ecoclub”), who is a local coordinator of the EU-funded project “Switch on the Sun, Live Comfortably,” which helped install the collector. The two-year project has the support of the local authorities and community, she says. “Nuclear energy is not a solution: we need to think about our future,” Mayboroda argues, adding that EU practice shows that solar energy technologies are among the most energy efficient. With the four-metre-squared sunlight collector, water moves through the convection process, without pumps. No great skill is needed to use the technology: participants of a special training managed to install it on their own. Vitaliy Shramko, a craftsman, says the task is easy and a solar panel can be installed in two weeks. “It’s not difficult at all,” he says. “You can buy all necessary components at the market or in a construction store. The collector costs UAH 7,000 (about €630) including the craftsman’s work. These funds will quickly be recovered, as you’ll save money on gas or electricity,” he adds. Government authorities and communities in the Manevychi rayon of Ukraine’s Volyn oblast were involved in the project, as they have been working on energy efficiency initiatives for several years. The region’s focus on renewable energy was motivated by reality: gas is supplied only to five villages in the rayon, therefore renewable technologies are needed. Mykola Myroniuk, head of the local rayon state administration, says authorities support green energy initiatives because they produce a tangible result. “Even though our region produces peat briquettes, the future belongs to energy efficient technologies,” Myroniuk says, adding that solar energy is both free and environment-friendly. After the first solar energy collectors were installed in the region, other Ukrainian oblasts followed their example, he adds. The “Switch on the Sun, Live Comfortably” project has been operating in Ukraine and Georgia since 2011, led by the international NGO “Women in Europe for a Common Future” and funded by the EU. So far, the initiative has installed 25 solar energy collectors across Ukraine. Additional 30 will be completed in the near future.